Before a sold-out crowd of more than 860, Newmark Homes and Westin Homes were both presented the 2018 GHBA Houston’s Best PRISM GRAND Award for Volume Builder at the celebration of the city’s finest in residential homebuilding, held October 6 at the Royal Sonesta. Custom Builder, Morning Star Builders, Remodeler, Sneller Custom Homes and Remodeling, and Developer, Johnson Development Corporation all walked away with a 2018 GHBA Houston’s Best PRISM GRAND Award, with Johnson Development Corporation receiving the GRAND Award for Promotion. 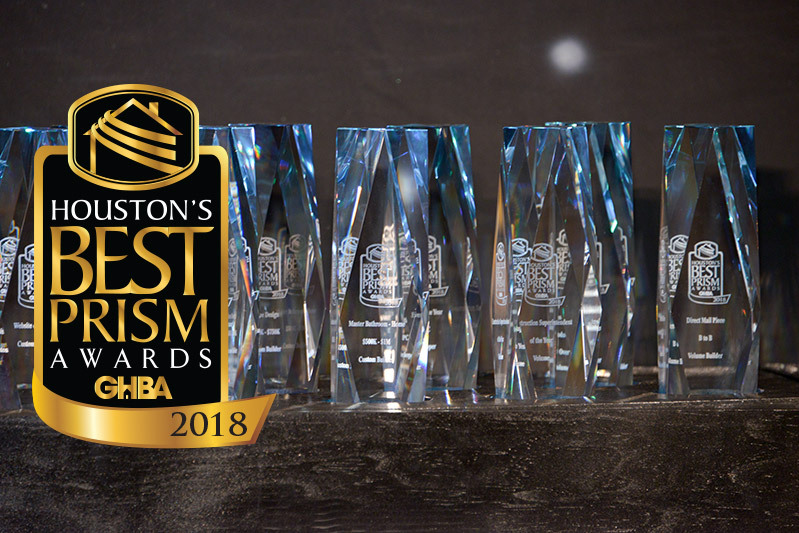 More than 100 awards were presented to Houston area builders, developers, remodelers and industry professionals at the 2018 Houston’s Best PRISM Awards black tie gala that featured the theme, Stetsons & Stilettos. The Greater Houston Builders Association (GHBA) Houston’s Best PRISM Awards are an annual event designed to recognize excellence within Houston’s homebuilding industry and to support their efforts. This event is directed by the GHBA Sales and Marketing Council, and numerous volunteers from GHBA member companies. The year’s award recipients were chosen by a panel of premier industry professionals from around the country. Judging criteria varied according to the category, but all category winners were required to be active members of the GHBA in good standing, and to have shown commitment and excellence to the homebuilding industry as a whole. Categories in construction and remodeling included price range and specific room designs and in the developer category, promotion awards were presented for TV, radio, print, outdoor, direct mail, and special events. The people category awards honored excellence in sales, marketing, and construction supervision. A huge thank you to our sponsors of the evening!